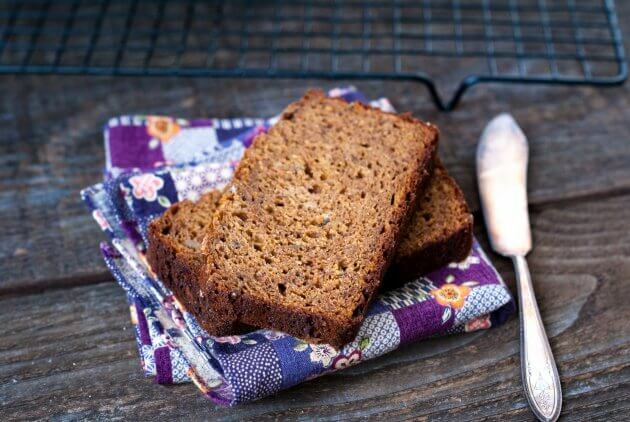 Molasses Banana-Oat Bread is hearty with a subtle sweetness. Perfectly satisfying as a wholesome snack or quick meal on the go. An excellent recipe to use over-ripe bananas. Lately, I’ve been reaching for molasses to change up the flavor of our breakfast foods. I used to keep a bottle of the thick dark syrup in the back of the cabinet (where it always seems sticky) for the very occasional batch of gingerbread. Now, in the front of the pantry, this robustly flavored sugar alternative regularly ramps up the flavor of pancakes, waffles, and oatmeal. In contrast to the bright sharp quick sweetness of honey or sugar, molasses makes me want to slow down and savor each aromatic bite. The very definition of viscous, molasses flows on its own schedule, moving sedately from the bottle to a waiting measuring spoon. Watching the pungent liquid make lazy progress towards my measuring cup, I’m glad a little goes a long way. I’ve learned to grab the bottle for its rich burnt sugar flavor but I initially reached way back into the cabinet for health reasons. From a nutritional perspective, molasses has some notable benefits compared to sugar. For those looking to reduce sugar, molasses falls much lower on the Glycemic Index (a measure of how quickly a food affects blood glucose, aka blood sugar) than refined sugar or honey. * Depending on the context, molasses may be a useful alternative to sugar for individuals needing to manage their blood sugar levels (always consult a medical professional for your specific needs). If you haven’t used molasses in a recipe lately, go grab the bottle from the back of your pantry. 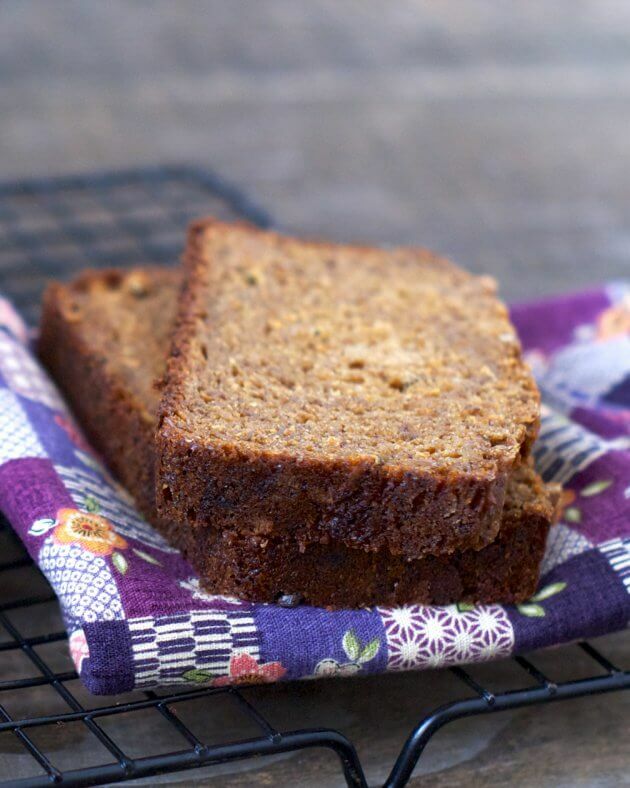 Give this molasses banana-oat bread a try. I’ll bet you’ll be reaching for that sticky bottle of molasses more often. 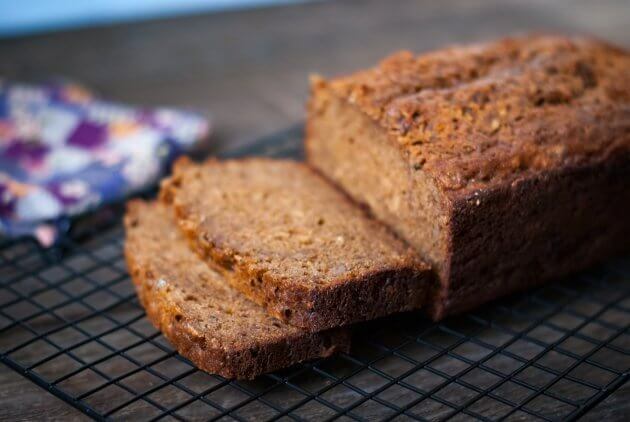 Molasses Banana-Oat Bread hearty with a subtle sweetness. Perfectly satisfying as a wholesome snack or quick meal on the go. An excellent recipe to use over-ripe bananas. Preheat oven to 350 degrees. Lightly butter (or use non-stick spray) a 9x5 loaf pan. In a large mixing bowl: use a fork to blend the butter, sugar, and eggs. Once fully blended use a large spoon to mix in the bananas, molasses, yogurt, and vanilla. Begin incorporating the dry ingredients. Sprinkle the baking soda, salt, cinnamon and nutmeg over the batter and mix well. Add the flour ½ a cup at a time and mix just enough to incorporate it evenly into the batter. Finish by mixing in the oats. Turn the batter into the prepared loaf pan. Cover the pan with foil and bake for 40 minutes. After 40 minutes remove the foil and continue baking an additional 20 minutes. The banana bread is finished when a toothpick can be inserted and removed clean. Let the loaf cool on a rack in the pan for 10 minutes before removing from the pan and cooling completely on the wrack for a couple of hours. Great recipe! My loaf came out delicious, moist and hearty. This is my new favorite banana bread! Fabulous! I’m so glad you love this recipe. Thank you so much for sharing your success! cheers! I found your blog through an attempt to find a way to use a new bottle of blackstrap molasses. I baked this bread yesterday and I’ve already eaten several slices – definitely a new favorite! It tastes a lot like gingerbread, but also has a banana flavor, and it’s satisfying without being too sweet. I had to substitute coconut oil for butter and applesauce for one of the bananas, but those turned out great. I think it would be delicious for breakfast toasted with cream cheese, but it’s so moist right now that I hate to do that yet. 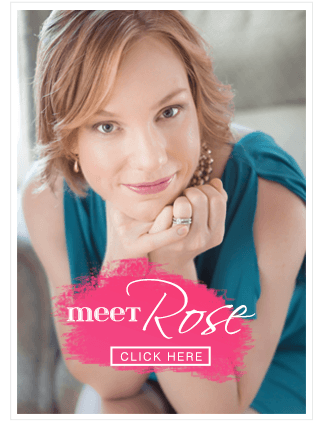 Hi Lenore – I’m so tickled by this review! Thank you for sharing your experience and your ingredient swaps. Those are my kind of substitutions! Enjoy the rest of the bread and stop by anytime. this bread looks amazing. I love pretty much anything including molasses. Thanks Abbie! Let me know if you try it.